Tristan Pigott’s highly detailed oil paintings have already gained the artist a keen following. Clearly because of his immense skill with a paintbrush but also because Tristan paints relatable content. He creates fine art that isn’t over intellectualised, which is what makes it so intelligent. 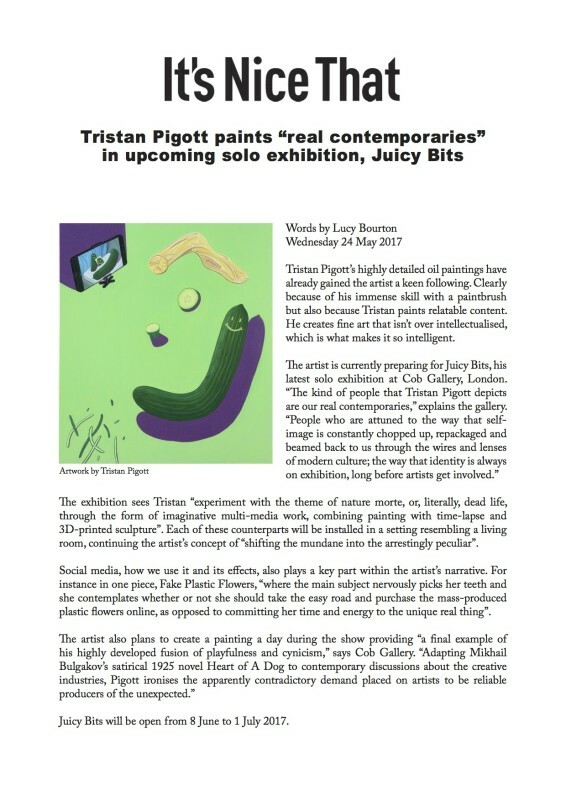 The exhibition sees Tristan “experiment with the theme of nature morte, or, literally, dead life, through the form of imaginative multi-media work, combining painting with time-lapse and 3D-printed sculpture”. Each of these counterparts will be installed in a setting resembling a living room, continuing the artist’s concept of “shifting the mundane into the arrestingly peculiar”.